But here I was with a rare and solid sense of calm. A clarity of mind that yielded a refreshing self-confidence and easy purpose. Ahhh…and the silence, the sweet silence inside my head. Imagine it. None of that incessant chatter – the self-recriminations and doubt. No over-analysis or guilt. Not even the usual endless planning and list-making. But wait there’s more! Nor was there any numbness. I felt alert and aware. The absence of chatter was not because I was rushing around on auto-pilot, unable to hear it. I was not tuned out, the chatter was truly absent. This serene state came at the end of a 7-day silent retreat. Something I never imagined I would do. As committed as I had become to Mindfulness and Iyengar Yoga, a silent meditation retreat was not anywhere on my to-do list…until it was a prerequisite for the professional Mindfulness training I wanted to do. A ‘retreat’ sounded too airy fairy, warm ‘n fuzzy for me. Certainly not my thing but I did want to get into that course. I used to think that meditation wasn’t for me but thankfully I gave that a shot – so what the hell, I’d give a retreat a go. I found one in a beautiful location with comfortable accommodation. The silence did not bother me – it seemed an excellent way to avoid small talk, eye contact or any other social pressures. I was provided delicious, wholesome meals, had uninterrupted night-time slumber and minimal chores. Who wouldn’t be calm, right? Well, it was also an intense challenge, with a daily 6am start and hours and hours of meditation practice. But I stuck with it and things shifted…a profound calm followed. I learnt more from the experience of the retreat than from the training I had already completed. – improved self-esteem and relationships. Now I’m not advocating silent retreats for everyone. It was simply a turning point for me and I wanted to explain how I came to be so convinced of the power of meditation. The real gains from meditation come from slowly but surely making it a part of your life. And therein lies the challenge of course. I myself certainly struggled to imagine that I would be a meditator. Early on I was reluctant to even bother at all. Even if you are able to set aside many of the common misgivings about meditation and accept that there can be many benefits, you may still be left with doubt about how sitting in silence could work for you – who would blame you? So enough of the theory, research and jargon. Here are the three key ways that meditation has helped me…in case it can help you to take a leap of faith and give it a go. Choosing to sit and pay attention in the present moment is a challenge. Especially when you have a million things to do and a million more to think through. It is very powerful training to sit and allow things just to be. We are not in control of many factors in life. With meditation you learn to take some control of a small amount of time. You sit and meditate (and in a way do ‘nothing’) and you learn to be okay with that. It is a sure-fire way to feel more in control. Momentarily setting aside your hectic life to meditate is a bold and defiant act. And you will feel stronger for it. Thoughts, emotions and physical sensations will always arise during meditation – some pleasant, some unpleasant, even painful. Sitting with whatever arises – and learning not to react to it or avoid it – is instructive. You learn to stop trying to control everything. You feel more okay with things the way they are. And presto you feel more in control – less desperate to fix things, less anxious about what might happen, less compelled to drink, work and think away your worries. On the one hand it is has never been easier to avoid your thoughts and feelings. Rush around, work hard, play hard, eat, drink and be online at all times. Yet with no ‘time out’ and with no mental digestion taking place you will eventually suffer. You get struck down somehow. A physical illness or a relationship breakdown. Anxiety, a panic attack or burnout. Regular meditation redresses the imbalance. Bravely and intentionally stopping to sit still and practice can be confronting. You come face-to-face with yourself – with what is there when you are not rushing, not achieving, not texting or status updating. All sorts of things can bubble up. But you learn with meditation that that’s okay. You can cope. You may have times of feeling overwhelmed but they pass. And you are okay again. Or you sit and are plagued with boredom, restlessness and agitation. But you are okay. You become more resilient in the face of stress, less thrown by strong emotions. You are more accepting of yourself, less judgemental, kinder. Stressful circumstances still arise. 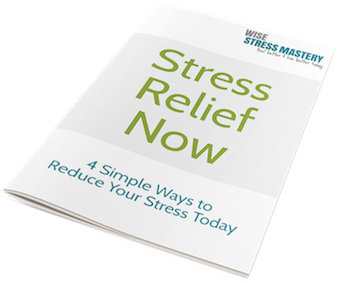 Stress is unavoidable but you are more robust – less anxious and more calm, more often. Can you believe how quickly time passes? It’s truly scary to get to the end of another month and wonder where it went. The prospect of getting to the end of one’s life and thinking the same is too awful to contemplate. By stopping to meditate you learn to tune in to the moment – to forgo being on auto pilot and be present in your life. This is no small matter. This is a way to get a life. Instead of having one that just passes you by. When you meditate, your awareness of the moment comes and goes. You drift off here and there but your intention is to pay attention and so you keep returning to the present. You become more alive, more switched on. This new strengthened capacity transfers to life in general. You catch yourself when you are ‘out of it’ and unaware. You notice more about yourself and others. You are in the driver’s seat and your vision is clear. You can respond appropriately and effectively to whatever arises. It is a relief to be living more fully. When I began regular yoga practice 17 years ago I learnt how to find a new calm – my teacher would instruct us to close our eyes and ‘find that quiet place within’. It seemed foreign at first, odd. Now, on reflection, it only seems odd that it does not come to us more naturally. These days I can often find peace quite naturally. I retain the calm more often as I go about my day. When stress or adversity strike I can call on it more readily. Life takes on a greater sense of ease just knowing that that quiet place or space is never too far off. I am currently developing a simple step-by-step guide to giving meditation a try. Nothing technical, no jargon. No pre-requisites or assumed knowledge. Just exactly what to do and how to do it. Can you please help me – it would be great if you could let me know any barriers you have to trying, or trying again, to meditate. What stops you or stopped you? What questions or reservations do you have? Add a comment below or shoot me an email. Thank you.